Right-click here to bookmark or make desktop shortcut. There are 80 visitors on this page now. Making and testing a volcano model makes a good science fair project in earth science. 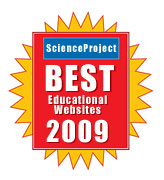 This website is maintained by ScienceProject Corp.
Can you get our emails? liability and use these experiments at your own risk!